In this recent column, I discussed Rashida Tlaib and the anti-Semitism she has brought to the Congress. Look at her first day on the Hill and her celebration of being elected. A look of those who surrounded her is an indication of what will be expected in the future. Another person in question is HUWAIDA ARRAF, co-founder of the International Solidarity Movement, an entity with a long history of supporting terrorism. This group has held a recruitment meeting calling for the increase in international activists. HUWAIDA ARRAF has admitted that the ISM assists and works with Hamas, Palestinian Islamic Jihad and the Popular front for the liberation of Palestine. The media has turned a blind eye to the terrorists that are in our midst and walk the halls of Congress. They ignored the facts put out by Open Doors, an authority of global Christian persecution. More than three-quarters of religious persecution in the world occur to Christians by Islamists and socialists, making more than 215 million Christians persecuted. The media creates a firestorm of any mention of Islamic persecution which over the past five years have been hoaxes and false. We even have local and state elected officials being told by CAIR what they can and cannot say. 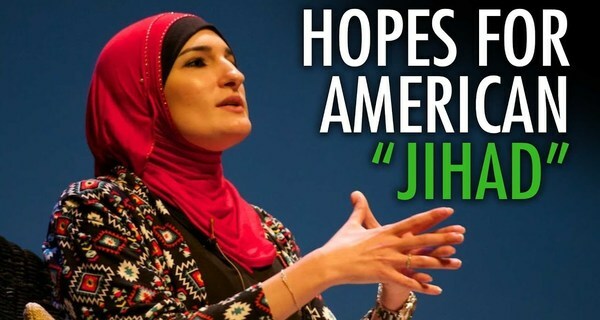 CAIR along with Rashida Tlaib and the other Islamists are pushing hard to force sharia on our country. Working with a compliant Trump hating media they make inflammatory remarks and then portray themselves as victims screaming “Islamophobia”.